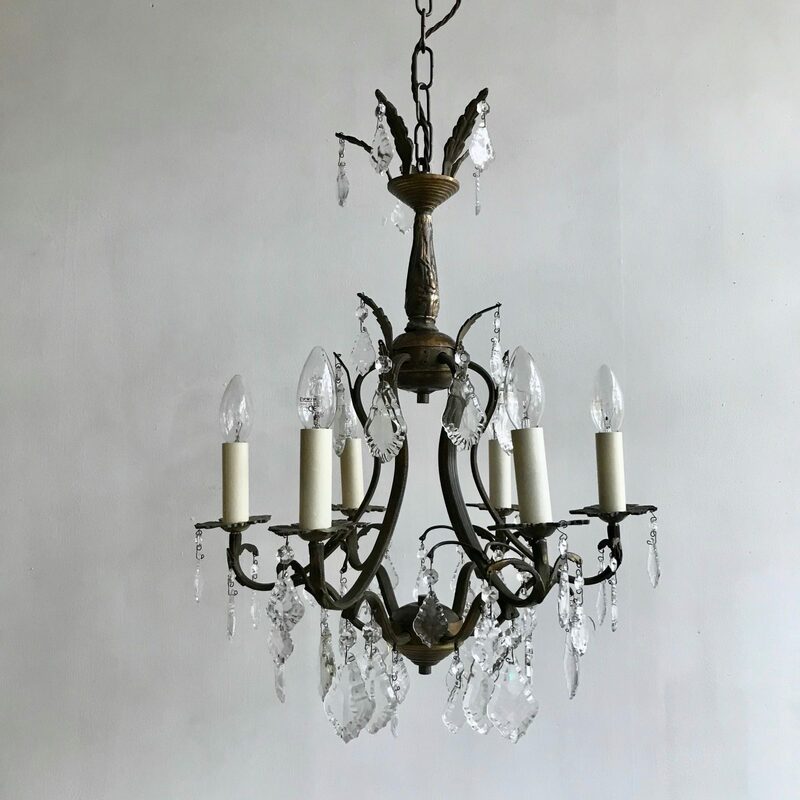 This birdcage chandelier originates from early 1900s Italy. Dressed in a mix of glass flat leaf drops and with elegant proportions it would make an excellent centre piece. The brass chandelier frame has a dark naturally oxidised brass patina and holds six lamps. The chandelier comes supplied with braided flex, chain, a ceiling rose and a chandelier hook plate. Chandelier requires SES lamps, these are not included.